Cities are the home to more than half of all humans and the source of 70% of the fossil fuel emissions. 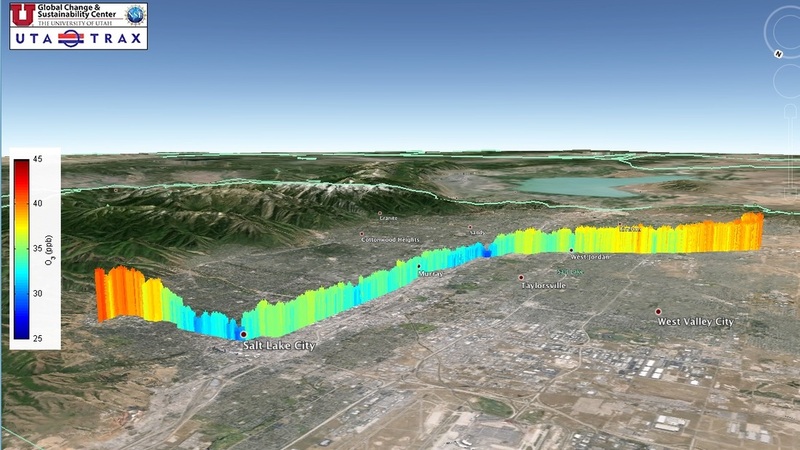 In collaboration with John Lin (Atmospheric Sciences), Diane Pataki (Biology), and Dave Bowling (Biology), we have been monitoring in CO2 and CH4 levels at several locations across the Salt Lake Valley. ​What can we learn about spatial and temporal patterns in emissions and pollution in cities through urban CO2 observations? More recently, the network has expanded to include continuous observations via UTA TRAX as light rail trains move along the same routes in the Salt Lake Valley. In addition, we developed a mobile capacity (AKA 'the nerdmobile') that allows us to measure a broader suite of trace gases, criteria pollutant gases, and airborne particulates. 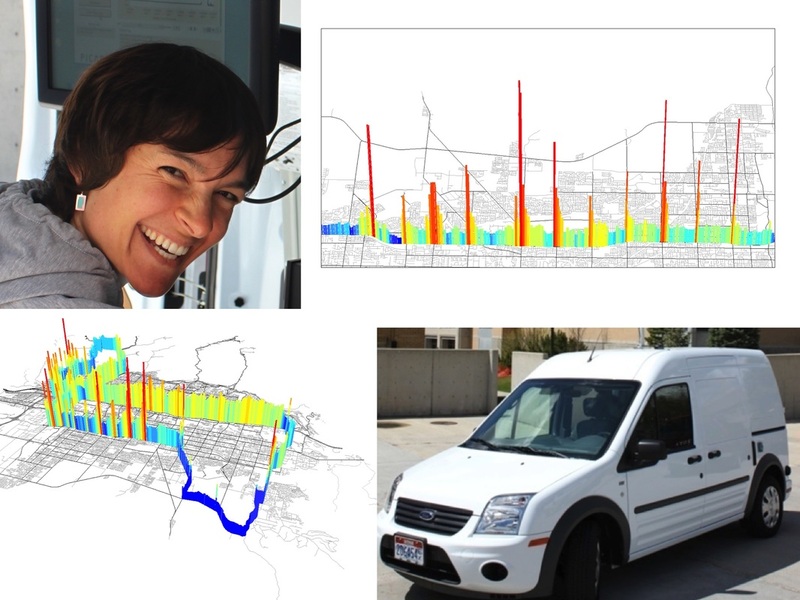 Complementing these observational trace gas measurements are the HESTIA parcel-based and road-segment based estimates of temporal and seasonal emissions for the entire Salt Lake County. 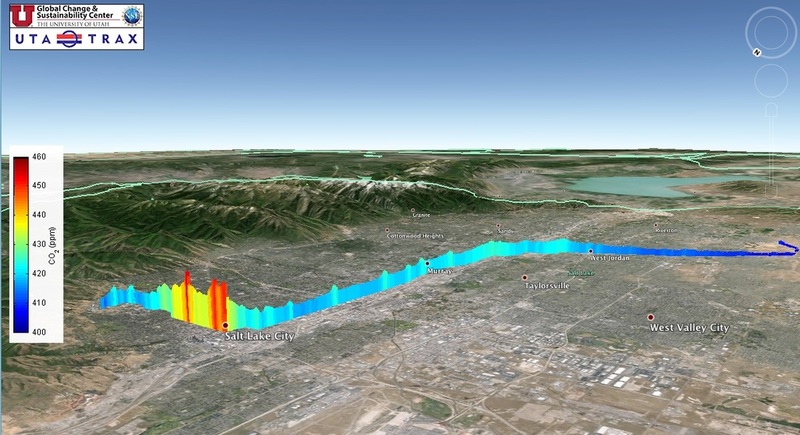 Coincidentally, the NASA OCO2 carbon dioxide measuring satellite passes directly over the Salt Lake Valley on a regular basis, providing a global perspective on fossil fuel emissions.